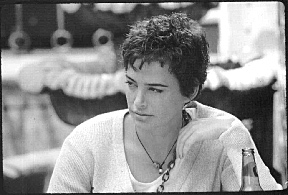 Jennifer Rubin has appeared in every genre of film; Science Fiction, Horror, Mystery, Drama, Romance, and Comedy. 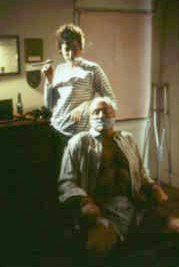 Earning her first co producing credir on Road Kill, Rubin portrays "Blue" a hired gun on her last hit. Befriended by her neighbors she allows them to come along for the ride of their lives. Rubin was only six when she was chosen, (in her hometown of Phoenix, Arizona), to appear on a local television program to deliver her first comedic act. Turning that fond memory into a trade, Rubin has enjoyed sharing the screen with Keanu Reevs, Dylan Mc Dermott, Peter Weller, Robert Downey Jr. and William Hurt. She has appeared in numerous independent and studio films including, Permanent Record, The Fear Inside, Screamers, Too Much Fun, and the Sean Penn produced Loved. Rubin made her Los Angeles stage debut under the direction of Willard Carrol in the dramatic, two act play "Absolution," at the Court Theatre. Rubin played the pivital roll of Lorraine, a woman who serves as the link between three former high school buddies and the secret that continues to bind them years later.